Big Blue's Online Carburetor: Vintage Tuesday - Enter to win a "Big Blue is a friend of mine" t-shirt! 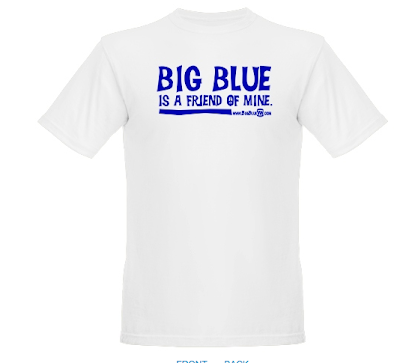 Vintage Tuesday - Enter to win a "Big Blue is a friend of mine" t-shirt! I have a whole slew of new original vintage pictures coming up for Vintage Tuesday. But I wanted to give readers a chance to share theirs. 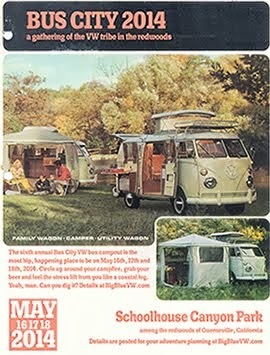 So, any reader who emails an original vintage photo featuring a VW is entered to win a "Big Blue is a friend of mine" t-shirt. We'll draw an email at random. All entires need to be received by 7-1-10. Send the images as attachments to bigblueVW (at) gmail.com. Just to give a limit to the contest, we'll say the images have to be pre-1989. So get busy. 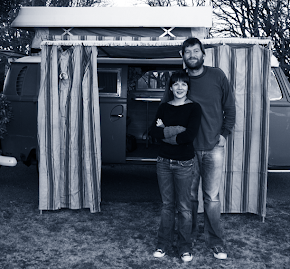 Dig up those old vacation photos or the old photos of your uncle's bug and send them in. Have them featured on BigBlueVW.com. And possibly win a t-shirt! Thanks Brett for this great way for us to share pictures and also to support the cause. Will you also be posting all the photos you receive on this website? Carole - yes, we will be featuring submissions on the website on Vintage Tuesdays. So send any original photos taken before 1989 and we will feature them. Only one t-shirt is being given away, but all phots will be shared! Looking forward to seeing the winning Vintage photo and others.